Inshore fishing charters offered by Full Circle Fishing Charters are available for the waters around Charleston, South Carolina. While you are fishing with Captain Jamie Holcombe aboard 34-foot Full Circle vessel, anglers can expect to catch a variety of local species that live in the Lowcountry waters. Anglers can fish in areas like Charleston Harbor, Bulls Bay or just off the shoreline of Isle of Palms, Sullivan’s Island or the Sea Islands of Kiawah and Seabrook. As a result, live baits will catch more fish than artificial lures at this time. Inshore fishing charters are perfect for families, novice fishermen or those that prefer to stay close to shore. Inshore trips are available aboard Full Circle – a 34-foot Custom Carolina Fisharound. NOTE: Because of the size of Full Circle, inshore trips are limited. Be sure to discuss your fishing desires with the captain before booking if you have a specific inshore trip in mind. Inshore trips range from 4-8 hours. Children are welcome however they count as an angler if they are fishing. Charter price includes bait, fish cleaning and fishing licenses. Bring food and beverage of choice as they are not provided on the charter. Toler’s Cove Marina has a small marina where charters can purchase trip supplies. No glass containers on the boat. Please bring aluminum or plastic containers. Be sure to wear boat friendly shoes. These are shoes without black soles. The boat has a small bathroom. Boat is equipped with Coast Guard regulated safety equipment and a fully stocked medical kit. Parking is available at Toler’s Cove Marina. Full Circle merchandise such as koozies, T-shirts and stickers are available for purchase. Full Circle Fishing Charters is based out of Toler’s Cove Marina near Sullivan’s Island – a short drive from Charleston, South Carolina. Clients will board the boat from the marina. Special requests for pick-up and drop-off can be made in advance. Bring sunscreen. However, if you forget your sunscreen, we have a variety available onboard. Get a good night’s sleep before your charter. Consider bringing a change of clothes. Leave your bananas at home. In case you didn’t know, bananas are considered bad luck on a boat. 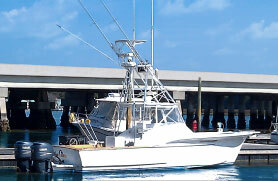 Inshore trips range from $600-$1,700 and can accommodate up to six anglers. It’s cold outside but the fish are biting!